Your privacy is important to us; this privacy statement explains what data we collect from you and how we use it. 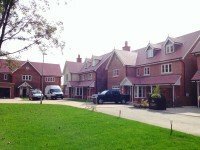 This information applies to all the services and products supplied by Thomas Roofing. Thomas Roofing collect data in order to operate efficiently and provide you with the best possible products and services. You provide us with some of your data directly, via our website contact form and order form. We additionally gather data from cookies and also from third party providers.